New Partnership to Encourage SDGs progress in Italy. 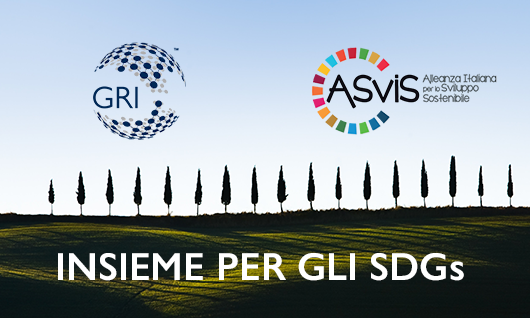 April 15, 2019 /3BL Media/ GRI and The Italian Alliance for Sustainable Development (ASviS) have signed memorandum of understanding, kicking off a partnership to unite efforts to promote corporate social responsibility in relation to the achievement of the Sustainable Development Goals (SDGs). ASviS brings together over 200 of the most important institutions and networks of Italian civil society and was created to raise awareness of the importance of the 2030 Agenda for Sustainable Development and mobilize the wider Italian society and institutions in order to achieve the SDGs. With this agreement, the two organizations are committed to achieving synergies and to enhance activities and projects supporting a common direction: guiding companies to adopt approaches that contribute to sustainable development and promote responsible business practices. View the announcement from ASViS (in Italian). Global Reporting Initiative is the independent international organization that helps businesses, governments and other organizations understand and communicate their sustainability impacts.